What is Hearts and Arrows ? Hearts and Arrows diamonds (H&A) are round brilliants with special patterns visible under specific lighting conditions. They consist of eight hearts when viewed from the pavilion side and eight arrows when viewed from the crown side. The custom made H&A by HRD Antwerp viewer, developed for HRD Antwerp by WTOCD, solves many problems caused by using classical viewers. 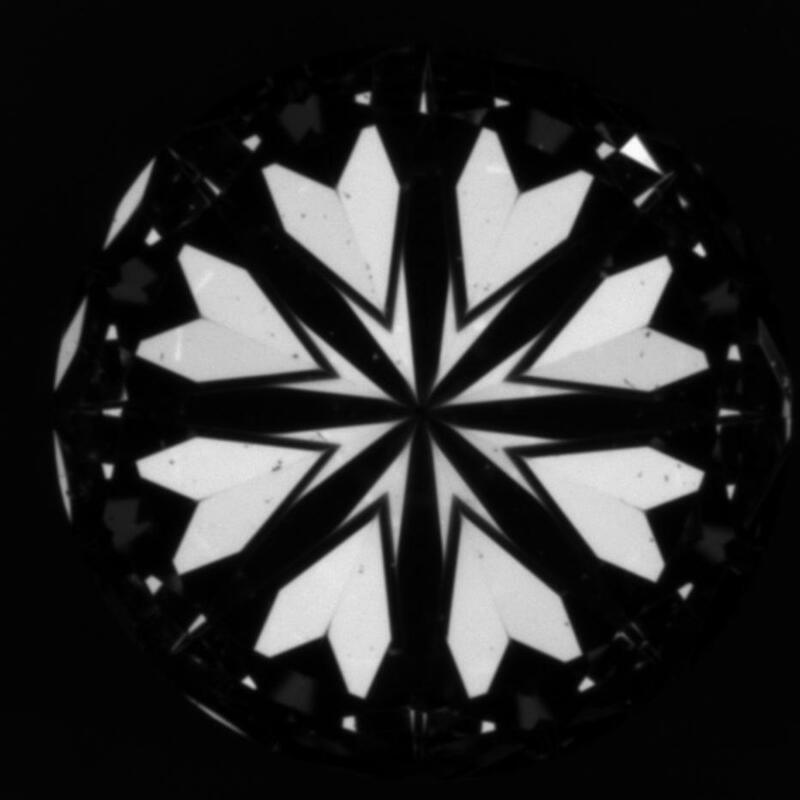 The tool can be used for visualizing both hearts and arrows patterns in one setup without turning the diamond. To stop the abuse of applying the name "Hearts and Arrows" to stones of an inferior make, HRD decided to let WTOCD develop a grading system for Hearts and Arrows. Diamonds passing the grading receive the "Hearts and Arrows by HRDAntwerp" grade. 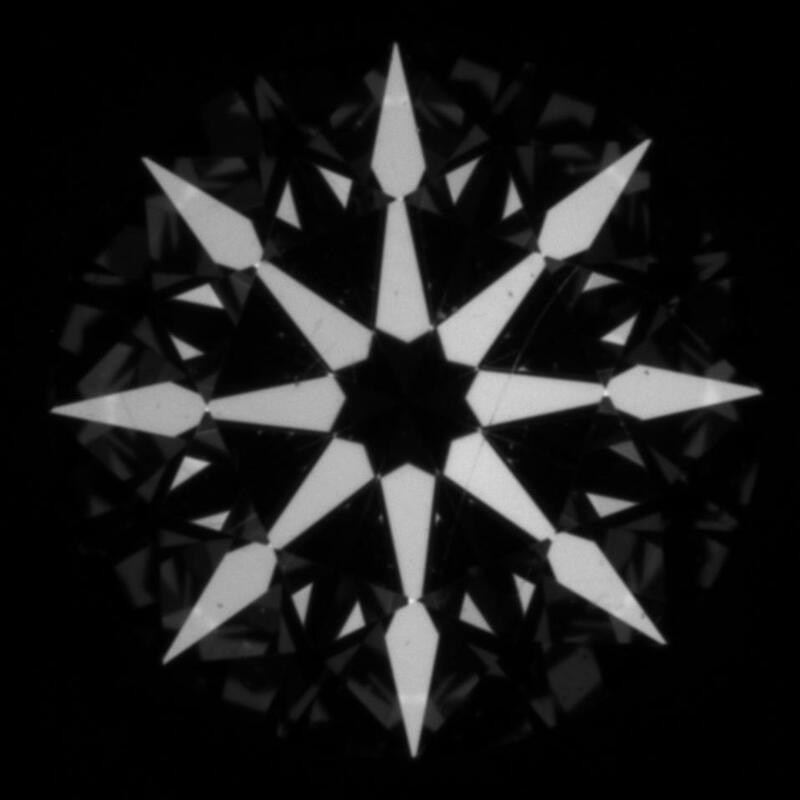 To improve the knowledge of Hearts and Arrows it is necessary to fully understand the influence of each facet involved in the creation of the patterns. Creating Hearts and Arrows (H&A) is not a trivial task. It is very important that polishers know the relationship between the proportions and the H&A patterns.